Free Vintage Valentine Postcard – Cupid! 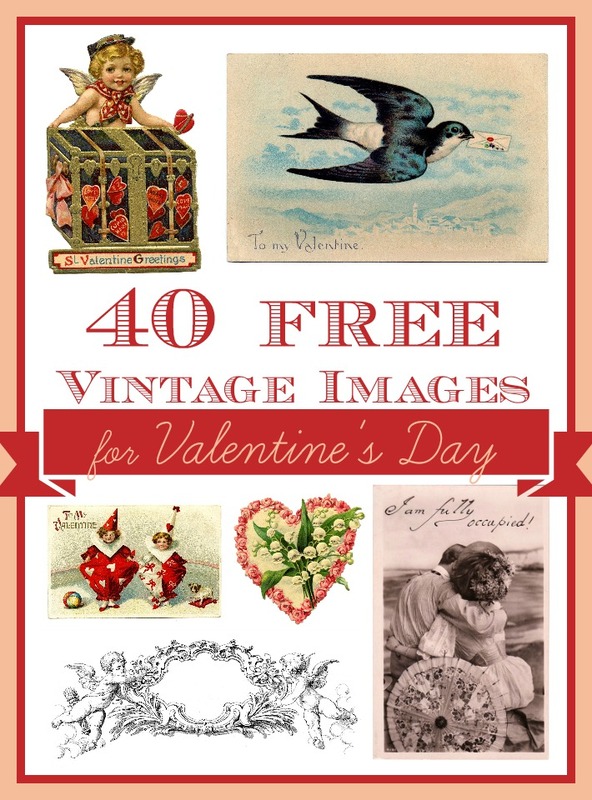 This is a cute Free Vintage Valentine Postcard! 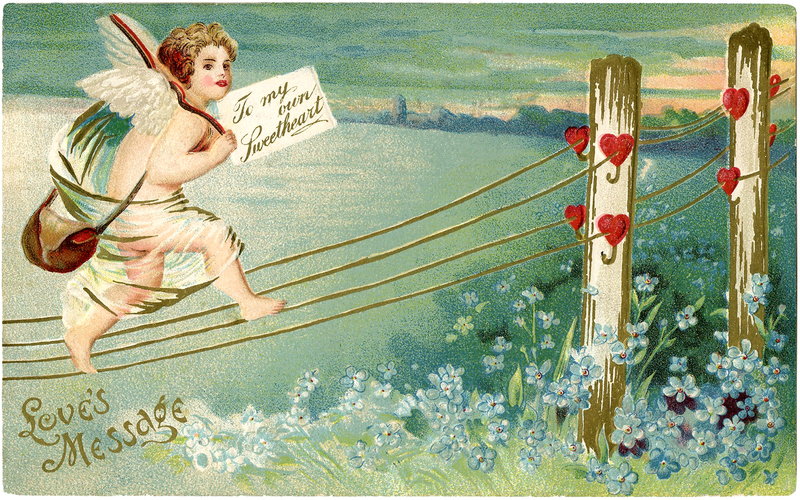 This sweet Antique Valentine Card shows a little Cupid running across some Telephone wires, with “Love’s Message”. Such a sweet old fashioned Image and such pretty colors on this one! 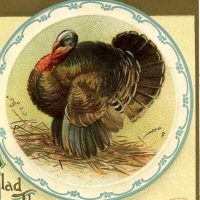 Vintage Thanksgiving Turkey Image Crafty Project – Love Garland for Valentine’s Day Vintage Forget Me Not Valentine!